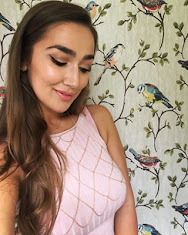 Hello lovelies...another nail post, I just can't help myself! 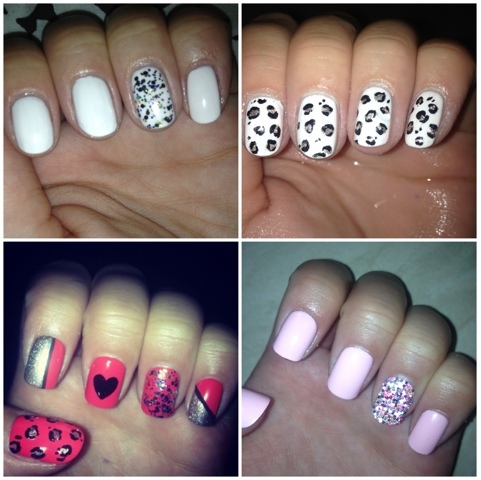 The photos I have used below include two designs on my natural nails and two on false nails. I decided to buy some false nails as I spend so long on my nails sometimes and then my nails chip within a day, which just feels like a waste of time! False nails don't chip for ages and even then it is hardly noticeable and obviously they don't break like natural nails. I bought a pack of 200 from Boots, they come in 10 sizes but then if some are too big you can file them down if you want to use as many as possible, then you're just wasting ones that are too small. I had to cut my natural nails down short as the false nails I bought are quite short and they look a lot better if you don't have natural nail underneath. I really like the square shape of these ones and they make me feel very glamourous for some reason! I'm back to my natural nails for a little while now but I really like using false ones purely because my nail varnish lasts so much longer but then obviously you have to flaff around with glueing them on. Mine lasted about 10 days without coming away from the natural nail, which I thought was really good! I was naughty and pulled them off which will have ultimately damaged my natural nails but I didn't have any remover, oops...not recommended! From Top Left Clockwise: Essie Fiji with Models Own Ibiza Mix accent ring finger, Essie Fiji with metallic (OPI Designer De Better) leopard print nail art, Mix and match coral, metallic and black nail art and Ciate Caviar Manicure in rainbow. 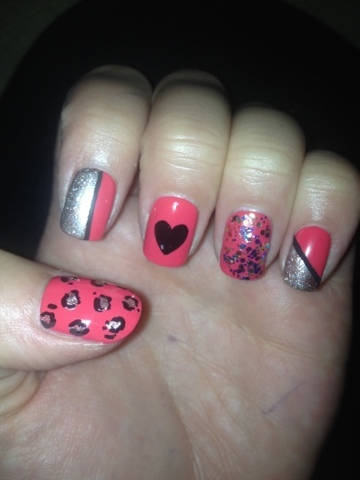 These are my favourite nails I have ever done, I was so proud of them! The coral coloured base is Peach Daiquiri by Essie and the metallic parts is OPI Designer De Better, the glitter is Models Own Ibiza Mix but I think golden glitter would have tied in better with the look. Believe it or not I used a black liquid eyeliner for my black bits rather than my black nail art pen as it is easier to control, as long as you let it dry and put a clear top coat on top it will stay put just as well as black nail varnish! 1. Apply base colour to all nails, it is best to use a light colour as a base if you are using black details as the contrast is more effective. You will need two coats with most colours. Allow nails to dry. 2. Use metallic nail varnish to do roughly spaced dots on thumb, a vertical stripe on index finger and a diagonal stripe on little finger. This doesn't have to be perfect because the black line will straighten the lines out. Allow nails to touch dry. Second coat of metallic may be needed, allow to dry again. 3. The nails need to be touch dry before the black eyeliner is used or it might bleed into the nail varnish. For the thumb, draw random C shapes and lines around the edges of the metallic dots and add a few random black dots. Draw a vertical line on the edge of the metallic index finger nail and little finger nail. For the middle finger nail draw a heart shape with liquid eyeliner and fill in. Allow to dry. 4. While the nails are drying you can apply glitter nail varnish to the ring fingers of both hands. When all nails are dry you can apply a clear top coat, preferably a quick drying one as there is quite a lot of coats on the nails by this point. Hope this helps! Doesn't actually take as long as most people think! What do you think? My next post will be on the Ciate Caviar Manicure.